If you like Melodic Rock with an edge, go for this and you'll have 'No Regrets'. Following on from 2016's 'No Regrets' album we now have the live release from that tour, recorded on home soil in Caxias Du Sol (Sao Paulo, Brazil). Marenna is the brainchild of Rodrigo Marenna who founded the band that took his name; he recruited guitarist Aaron Alves along with bassist Arthur Appel and drummer Gionathon Sandi. The band also invited special guests like Sasha Z (guitar), Jonas Godoy (guitar and vocals) and Mauricio Pezzi (keyboards). This live performance showcases songs from their first two releases. After a short intro piece, the band rip into 'You Need To Believe', a full-on rocker that's loaded with high-end riffs and harmonious vocals; if you didn't know what Marenna were about, you sure will after this track. The band, augmented by the additional musicians, have created a solid wall of sound that's full of style and steel. Rodrigo Marenna's vocal work is the star of the show and he has a voice that seems to suit every aspect of the performance, from screams to the low-end tones required on songs like 'Never Surrender' and 'Forever'. The fantastic 'No Regrets' delivers a classic, eighties-like anthemic sound – yet it's still relevant with the new wave of bands – hitting up melodic noises of previous generations. 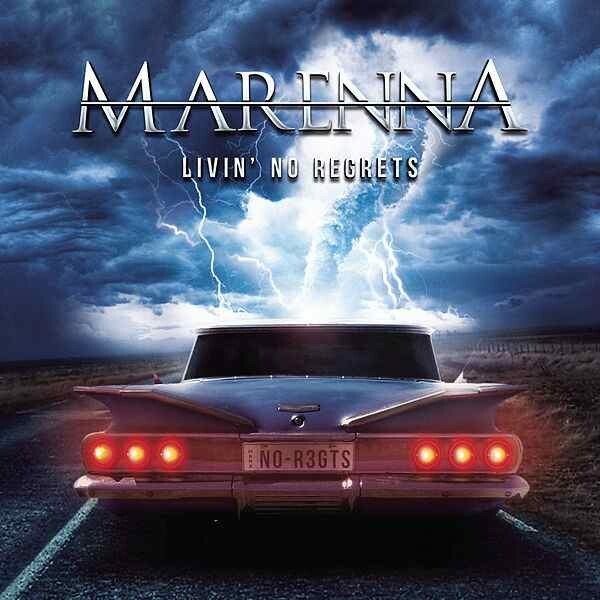 Marenna is a tight unit and they show great maturity for a band still in their infancy. 'Like An Angel', with its slow start, builds up throughout and has a great feel snatched from the eighties big hitters; it's great to hear that music like this is still alive and kicking. The song mix throughout the show is good and well-paced, with the set-list picking the highlights of the band's first two releases. The beauty of this release is it's a raw recording with no overdubs, unlike some high profile recent releases, giving it a true grit and real bite. Marenna are at the forefront of the Melodic Rock scene generating from South America and in the live arena, they sound like they have the punches to slug it out with their Scandinavian counterparts. The album oozes a vibrant, melodic sound and it's easy to pick up the influences from the past, but these guys have added a touch of flair to it all. In Rodrigo Marenna, they have a great front-man with the pipes to match the best out there. If you like Melodic Rock with an edge, go for this and you'll have 'No Regrets'.